No one likes looking for just the right place to take their car. Especially if you have a foreign luxury car like an Audi. First, you have to make sure they have all the right tools, diagnostic equipment and programs. Second, they need the ability to get parts quickly for repairs. Third, you need to make sure they actually know what they are doing and can remedy the situation without any hassle. Forth, you need to figure out who you can trust that will not cost you an arm and a leg. Well look no further than Dave’s Ultimate Automotive in Cedar Park, Texas. We know how important it is to have just the right person working on your car, so let us help you. Give us a call with any questions you may have, or schedule an appointment online. 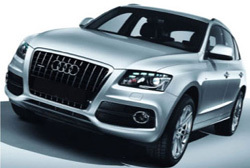 Why Choose Dave’s for your Audi Repair?